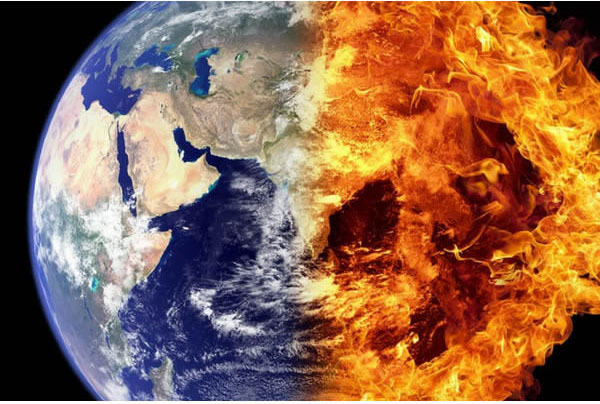 Famous Physicist Stephen Hawking has warned humanity on several occasions that we possibly only have nearly 1,000 years left on Earth, and the only solution to this is by making colonies elsewhere in the Solar System. NASA has recently posted several photographs showing that how humans have affected the Earth. You can see clearly how appearance of our world over the years. 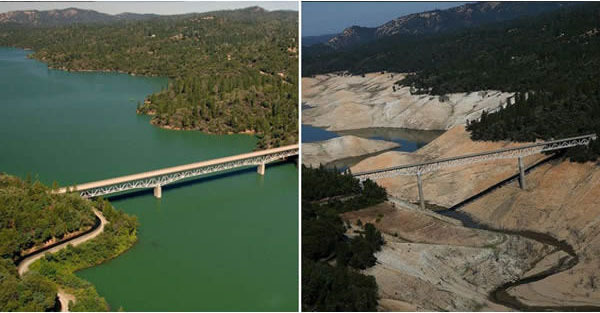 Lake Oroville, California. July, 2010- August, 2016. Powell Lake, Arizona and Utah. March, 1999 — May, 2014. Bear Glacier, Alaska. July, 1909 — August, 2005. Forests in Rondonia, Brazil. June, 1975 — August, 2009. McCarty Glacier, Alaska. July, 1909 — August, 2004. 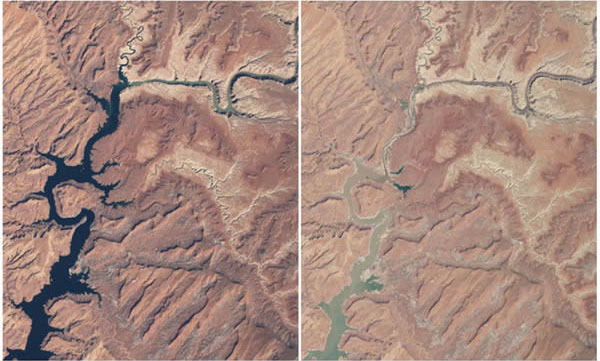 The Dasht River, Pakistan, August, 1999 — June, 2011. The Mirani Dam supplies clean drinking water and power to the surrounding area. The dam also helps support local agriculture. Matterhorn Mountain in the Alps, on the border between Switzerland and Italy. August, 1960 — August, 2005. Mabira Forest, Uganda. November, 2001 — January, 2006. Toboggan Glacier, Alaska. June, 1909 — September, 2000. Great Man-Made River, Libya, April, 1987 — April, 2010. This is the greatest engineering project in the world: a network of pipes, aqueducts and wells more than 500 metres deep. The water system provides the desert area with water. Qori Kalis Glacier, Peru. July, 1978 — July, 2011. Mar Chiquita Lake, Argentina. July, 1998. — September, 2011. Muir Glacier, Alaska. August, 1941 — August, 2004. Uruguay Forests, March, 1975 — February, 2009. Uruguay has managed to grow its forested area from 45,000 hectares to 900,000 hectares. However, this has had the effect of a loss of plant and animal diversity.